Necessities for the working reporter. The time between “click it” and “get it” is swiftly shrinking, at least for those of us who have the good fortune to live in San Francisco. Same-day delivery for online purchases is taking off in our hilly city, and companies from startups to big-box retailers are promising to get your stuff to you faster. There may be no Walmarts in San Francisco, but that won’t stop Walmart from helping you buy things: the company recently announced plans to bring San Franciscans same-day delivery for popular merchandise items some time later this month or in early November. Not to be outdone, online retailer Amazon — if web rumors are to be believed — plans to roll out same-day delivery services in San Francisco for the holiday season. Then there’s eBay, whose eBay Now app promises to bring purchases from some local stores straight to you in as little as an hour. The company’s demo screenshot of the application even targets Missionites. “Picnic in Dolores Park?” it asks. “We’ll bring the gear to your door – or the park!” Let’s just hope the delivery person isn’t driving — trying to find a parking space could push delivery back at least an hour. Local startups are also getting in on the act. SoMa-based Instacart and Postmates both have apps to bring groceries and goods to your home, office or park picnic. Other services, like TaskRabbits and Exec, allow you to hire someone, almost instantly, to buy and bring you stuff, do your chores, or — conceivably — lay out your picnic blanket and pour you some wine. If all of this same-day delivery hype brings on a certain sense of déjà vu, you might be on to something. During the dot-com bubble of the late ’90s, several companies offered to bring goods and groceries to our doors — often in under an hour — and we all know how that played out. Whether or not the current incarnation of these services will be viable remains an open question, as is who will gain the upper hand, big retailers or small startups. In any case, back in 1999 I was too young to own a credit card and take advantage of the services offered, and I can’t help feeling like I missed out on something. I was determined to try it out this go-around, so I decided to test three services, Postmates, Instacart and TaskRabbit, to see for myself what all the hype is about. Although it might be a fairer comparison to order three of the same thing, I realized early on that it would be difficult to find something I needed in triplicate. Because Mission Local doesn’t have a budget for reporters’ dumb ideas, I would be spending my own money, so I decided to purchase three different items that I could actually use. I planned to order a single item from each service, and decided that to keep things fair, whatever I ordered should be available from more than one store. That meant no quirky specialty goods like a box in the shape of a llama or a luchador mask fit for a horse. I downloaded Instacart and Postmates’ “Get It Now” service to my phone, pulled up the website for TaskRabbit, and started filling out my orders. Cold season is upon us, and reporters are, more or less, human and susceptible as anyone else. I was coughing up a storm and needed some help to get me through the day. Ordering medicine also helped wipe away the last shred of ambivalence I felt about using delivery services when I have two working legs and can pick up things that I need myself. Being sick seemed a worthy excuse. Instacart is an iPhone app geared toward delivering your groceries to your house. Users pick the category of item they need and then scroll through glossy photos and pick what they want. To me it felt a lot like walking down the aisles of an actual store, if I could somehow walk down the aisles while sitting in my office chair. The minimum order is $10 and users can either pay $9.99 for delivery in one hour or $3.99 for delivery in three hours. Since it was my first order, Instacart waived the delivery fee, so my total was $12 for the cold medicine. Order 2: Peet’s House Roast Whole Bean Coffee from Postmates. Postmates has made a name for itself with an app promising anything in the city delivered in under an hour. Users type in the name of a store in the city and write a note detailing what they want, and Postmates calculates a delivery fee based on time, distance and location. The app seems mostly targeted to delivering lunches from local restaurants, although the company is expanding into the groceries market. As with eBay, promotional images of the app reference the Mission District: screenshots in the iTunes store highlight businesses like Delfina, Mission Bicycle and Bi-Rite. Order 3: A pack of pens from TaskRabbit. SoMa-based TaskRabbit connects users with people in the area who are willing to do their chores or other tasks. People post their tasks online and the “taskrabbits” either accept for a predetermined rate or bid against each other for the assignment. The tasks vary widely: one punctuation-abusing user wrote “Help put down power strips!” while another post asked for “non-judgmental cleaning help.” A colleague pointed out that I could even ask a taskrabbit to write this article for me, which for a moment completely. blew. my. mind. TaskRabbit also has a service called Deliver Now that is specifically targeted to pickup and delivery in San Francisco for a flat fee of $10, but somehow in my sickness-induced haze I missed this, and ordered my pens instead through the general TaskRabbit task and errand service. I asked for a pack of pens as close to $10 as possible. I felt a little strange asking people to bid against each other for the job of bringing me pens, but it was difficult to determine what was a fair price to set for the errand. I ended up setting the rate at $12, the lowest price the website suggested for small errands. Carl Shawver fabricates steel racing bike frames for a living, and in his spare hours he works as a courier for Postmates. He was drinking a small coffee on 17th and Guerrero when his phone rang the ring that tells him he has a Postmates delivery. “It’s a pretty distinctive ring,” he said. When his phone went off for my order, he chugged the rest of his coffee and hopped on his bike to pick up my beans. Twenty-two minutes. That’s how long it took from the time my order was confirmed to the moment Shawver handed over the beans. The bag felt strange in my hand. It was just so real, a digital idea of coffee that had leapt into existence in front of me. A few minutes later I got a call from Instacart. Safeway was out of my cold medicine and the courier wanted to know if there was another brand that would work. I told her to pick up whatever looked similar. All these phone calls were making me feel giddy, as though the whole city was mobilizing to fulfill my needs. It was glorious. My cold medicine from Instacart arrived next. Liz, who also declined to give her last name, was studying in the library when she was pinged to pick up my order. Liz is a student at San Francisco State. “It’s kind of a nice job right now for me,” she said, “because I get down time and can do my homework.” She is new to San Francisco and sees the job as a way to get to know the city. 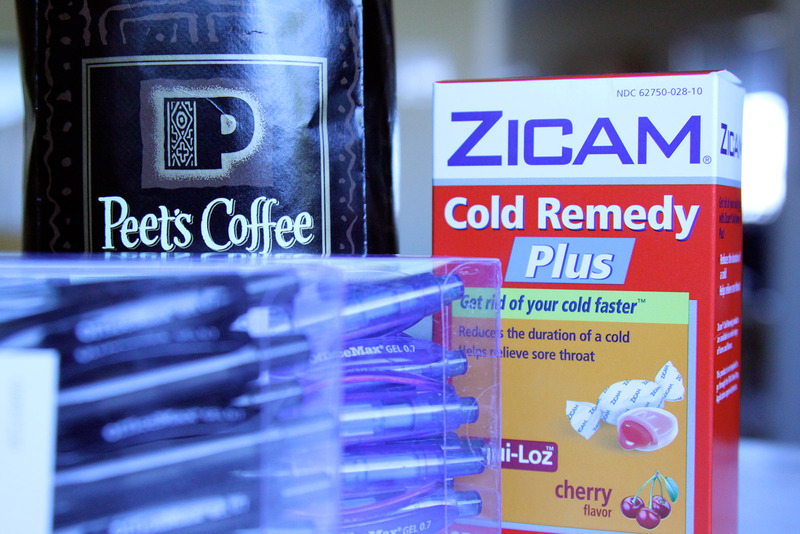 In under two hours, I had everything I had asked for on my desk: cold medicine, coffee and pens. The final cost: $56.97 journalist dollars. Turns out speed comes at a premium. And there’s the rub. Anyone using a same-day delivery service has to make the calculation: how much is it worth to me to not pick this up myself? Of course, the answer to that question will depend on how much worth you have to throw around. The startups are making a careful calculation, too, trying to find the numbers that won’t scare away customers and still allow them to make a profit with a business model that operates under the shadow of the dot-com bubble. I spoke with Bastian Lehmann, Postmates’ cofounder and CEO, to try to understand what has changed since the late ’90s. Three things, he said, set this era apart. First he pointed to the penetration of smartphones, which can dispatch couriers more efficiently. Then, “What you had 12 years ago is a year when people were not used to buying anything online. But what happened in the last 12 years, of course, is we’re getting everything online.” Finally, he pointed to the fact that delivery startups 12 years ago sold their own inventory, rather than sourcing it from local stores or restaurants. But is the business profitable? Lehmann wouldn’t divulge any financial data, but stated that Postmates has nearly 150 couriers now in San Francisco, and made deliveries from 1,500 different merchants over the last two or three months. As for me? Well, I’m looking at my pens and coffee and cold medicine and thinking about my wallet and wondering if maybe I should sell off some of what I bought to make money back on this article. I could probably deliver it to you. On the same day. 22 minutes from click to receive is impressive. Even Kozmo couldn’t do that back in the olden days. An extra 10 bucks would only be worth it in the rarest of circumstances I think. 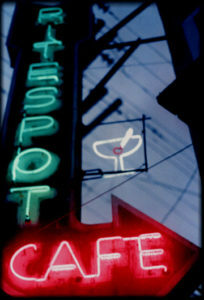 Especially when there is a cafe on almost every block in SF. Kozmo went out of business partly because customers would order a small Odwalla or something else tiny whenever the fancy struck them and delivery was free for a long time. Delivering that cost way more than the product. Kozmo eventually put in place a minimum order but it was too late. Kozmo was almost profitable in San Francsico and a few other cities; but their expansion is what fueled their downfall. They were trying too hard to compete with Webvan in market penetration.